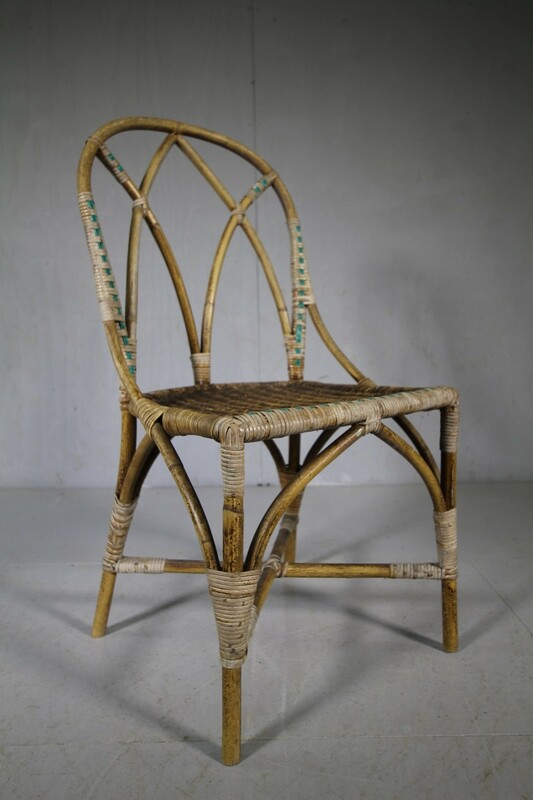 A very decorative English cane chair by Dryad of Leicester. 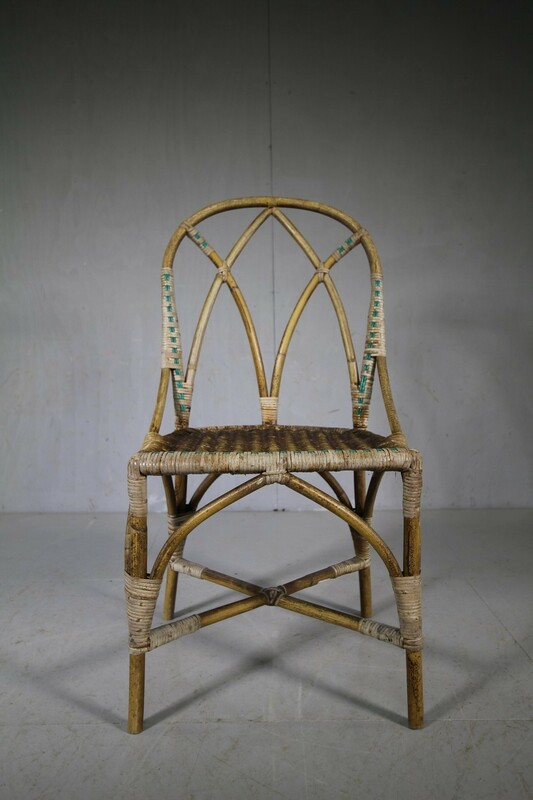 The chair is in fabulous condition and features a hoop back design with Gothic arches. 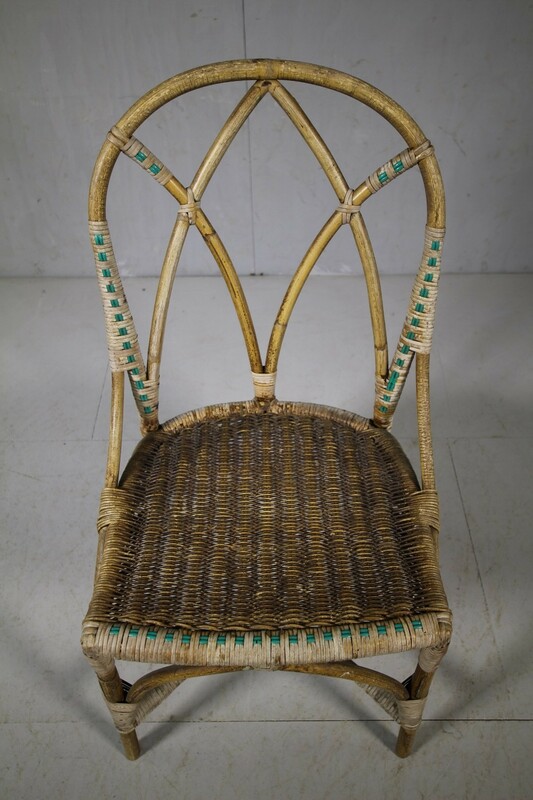 There is a green cane design woven into the chair. 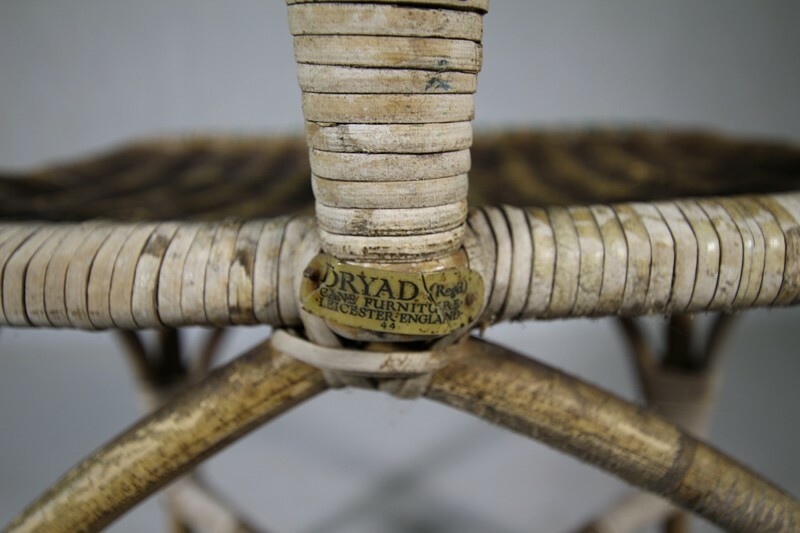 Complete with the Dryad makers label. In vey good solid and complete condition. Perfect to use for dining or as an occasional side chair.